Its refreshing, lemony ginger taste and grassy aroma enhances many ingredients without dominating the flavor profile of a dish. 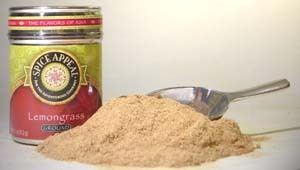 An important flavoring ingredient in Southeast Asian spice blends, and is often added to many local desserts that contain rice flour, palm sugar and coconut milk. Use in soups, stews, curries, laksas, rendangs and condiments of Thailand, Indonesia, Vietnam and Malaysia.